Tonal Recall is the Catoctones' newest quartet. This young vibrant quartet was formed to entertain with a commitment to vocal excellence. The quartet has already competed in 2 contests with a strong finish and are looking forward to improving their craft for future contests. The current members of the quartet are Rick Ulrey, Bass; John David Maybury, Baritone; Mike Garvey, Lead; and Greg Brown, Tenor. 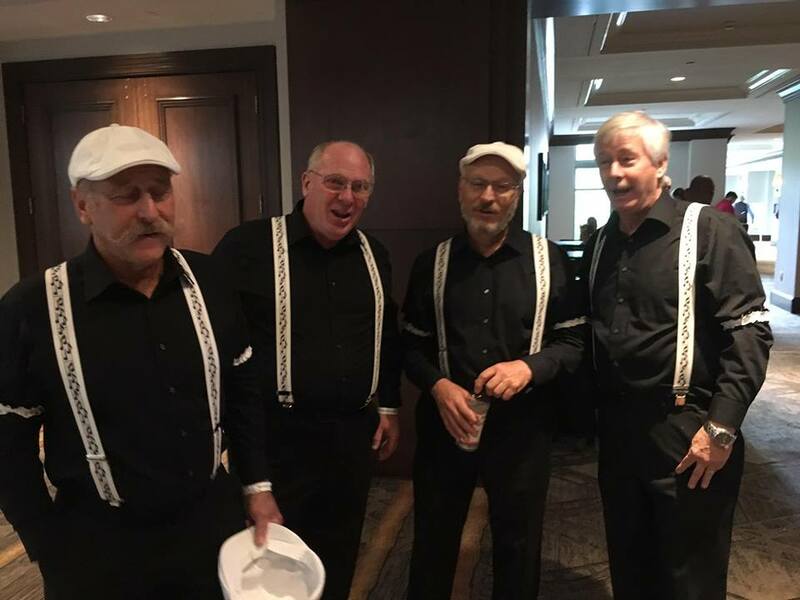 The quartet performs a wide variety of music from Barbershop, Doo-Wop, Jazz, and Pop Classics. You will usually see Tonal Recall perform with the Catoctones as all 4 members are active Catoctones members. Tonal Recall is available for your next event. Tonal Recall can perform for shows, birthday's, anniversaries, corporate events and more. Through our diverse repertoire, we have packages to suit many audiences young and old. If you would like to hire Tonal Recall for your next event, please contact Rick Ulrey @ 240-344-7728 or visit their website www.tonalrecallquartet.com. King's Chorders is the Catoctones' longest standing quartet with 15 years of constant rehearsals and performances. The current four members pictured left to right are: Rich Heffner, Tenor; Roger Crist, Lead; Tom Landon, Bass; and Phil Rhoderick, Baritone. There have been six personnel changes with Phil as a charter member and Rich joining in the second year. So the legacy lived on when Tom joined the quartet in the spring of 2014. 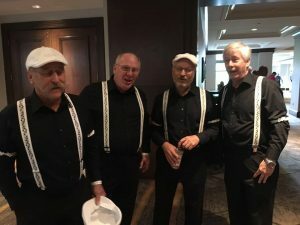 Throughout the years, King's Chorders have been strong supporters of the Catoctones Chorus as well as keeping a busy performance schedule for themselves. Their diversified repertoire lends appeal to any group or function one can imagine. 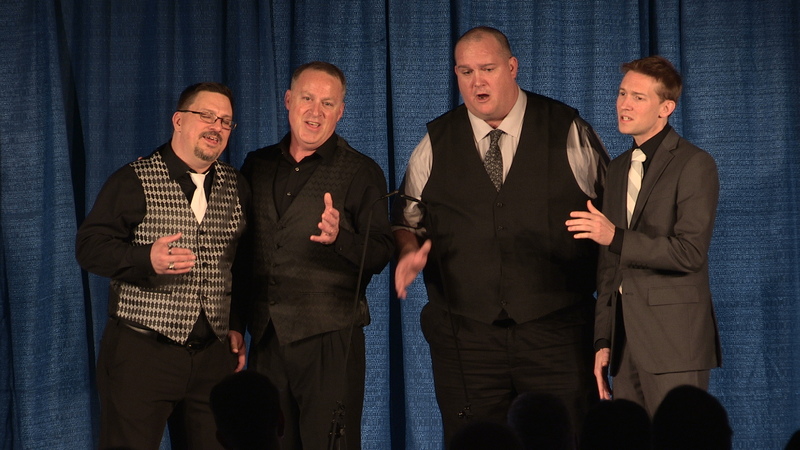 Formed originally as a Gospel/Barbershop Quartet, they still keep 40% of songs that are Gospel/Inspirational. They enjoy the "Best of both Worlds" with the Love of the Lord and a deep devotion to ringing chords in that All-American art form we call Barbershop Harmony. banquets, and fundraisers are among the most common, but they are willing and able to try something new. Contact Phil at 301-730-3456 or Tom at 240-285-8010.